7th Heaven Café is not on the crowded West Street. So it is quieter here. 7th heaven is just next to the West Street with Western and Chinese cuisines, a variety of freshly squeezed juices and a full range of coffees available. 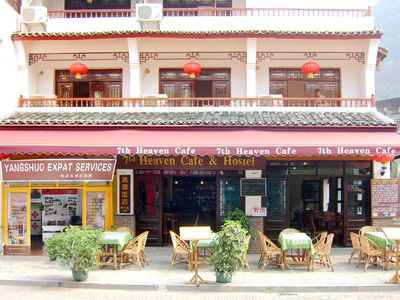 With the cozy feeling and tasty food, 7th Heaven is a great place to eat and drink in Yangshuo.